Caller ID & Call Blocker is the best app to identify and block numbers, unknown callers, Spam SMS/messages. Caller ID helps you to find who is the true caller. 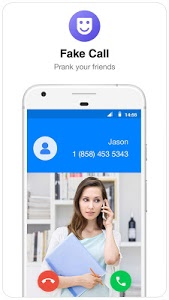 You can also make fake calls to have fun. 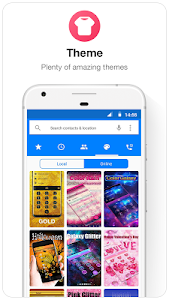 As a contacts widget, Caller ID & Call Blocker works like a mobile phone number tracker, dialer, number locator and caller number identification tool. We can identify calls, track phone number even identify unknown callers and show who’s calling you - Including the caller location. 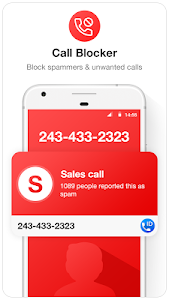 Call Blocker function, which is also called call block, is based on a huge data base, we block numbers or unwanted calls from your calls blacklist. The reserve phone number lookup function allows you search any number or name, track phone number. Caller ID & Call Blocker also allows you to make phone calls in the app, just like a dialer. The call log shows your recent calls, like who called you, the missed calls and no answer calls. 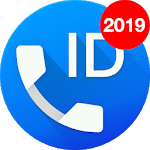 What’s important is Caller ID & Call Blocker is the best free android phone app. From now on, you will have the most delightful finding the caller. 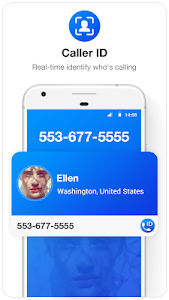 ✔Caller identification & number identification - Real time identify who’s calling, regardless of the reserve phone numbers or from unknown number. 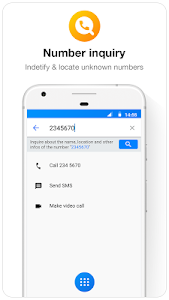 The block number function & Caller ID mobile number locator function shows the real caller name and caller location and acts as Mobile Number Tracker so as to help find the true caller. Figure out the true caller by installing Caller ID & Call Blocker. ✔Block numbers, unwanted calls and contacts, by adding them to calls blacklist. When the numbers from this calls blacklist calls you, we identify unknown callers, unknown numbers, unwanted calls and block numbers for you automatically, that is called Call Block. ✔The Caller ID & Call Blocker name, photo, birthday, SMS, social info etc through this mobile number tracker. 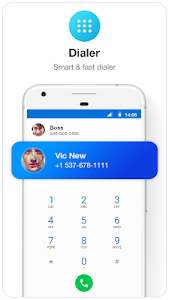 ✔Now free yourself from unknown Callers calling from Unknown Locations, Caller ID & Call Blocker helps you track phone number with Location Tracker. ✔No worry about spam messages consume storage space with blocker. Block text messages via adding to SMS blocker and block sms. ✔Prank your friends. Save you from embarrassing occasions. 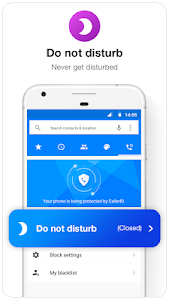 ✔A lot of amazing themes are available in Caller ID & Call Blocker. Now you can personalize the way you see your Caller ID & Call Blocker. ✔Fast access to save the unknown numbers or call back from the missed calls, completed calls or no answer calls from the call log. ✔Make phone calls in the app directly. Now your Dialer is truly yours to block number. ✔Search for any number or name in an efficient way. Works like a true caller trace app. ✔See all the call history in the recent calls. Including the missed calls, completed incoming and outgoing calls, no answer calls. As a mobile number locator, shows in detail the true caller name and caller location. Call block function aka call blacklist - call blocker blocks unwanted calls. These call logs will also be shown. No unknown numbers anymore. ✔Set a start time and an end time, calls will be blocked during this period. Under the protection of Caller ID & Call Blocker. You can have a cozy night from now on. Caller ID & Call Blocker does not upload your phonebook to make your contact names searchable. We also do not sell, share data with any third party application and/or organization. Similar to "Caller ID & Call Blocker Free"